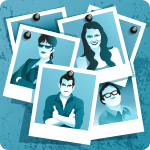 Whilst you can browse the forum without registering, you can enjoy everything much more by registering for a completely free account. Registering is simple and takes only a few seconds of your time. 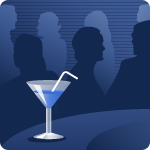 Set up your forum profile so that other members and friends can find out more about you, your reading preferences and, if you are an author or publisher, more about your work. To get used to posting on the forum, why not start by saying hello to the other members. To help others get the most from your posts, we have a very unique system of automatically linking book titles, authors and even films and music to Amazon. This is a very important feature and it is strongly recommended that you read how to do this. It's very easy to do. You can have a list the best of the day's free books sent directly to you by email every morning including books from genres of your choosing. Also, sign up for our occasional newsletters which bring you the latest Kindle and eBook news as well as hints, tips, competitions and freebies. 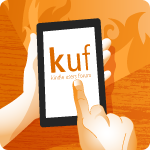 With our special free eBook, KUFLinks you can access many important forum features from your Kindle home screen including the Forum iteslf, Kindle Daily Deals, our TV Guide and much more. If you have a query about posting, setting up your profile or any other issue with using the forum or other services, please feel free to ask a moderator or one of our members. If you have a problem with your Kindle or Books, please take a look at the Kindle or Kindle Fire troubleshooting forums. General Kindle information, chat and articles that applies to any model of the Amazon Kindle along with e-ink information. Trying to decide which Kindle? Check out our buying guide. Amazon's best e-reader yet has its own dedicated section in the forum. Discuss everything about the Kindle Fire and Kindle Fire HD in our dedicated discussion forums. You will find hints, tips and troubleshooting info as well as info on the latest apps, media and movies. We are all ready and prepared for when the Kindle Fire is officially released in the UK and have our own dedicated section for Amazon's hottest new device. If you've just finished an enjoyable read, why not recommend it so that other members can enjoy it too. Recommending a Kindle book is easy and only takes a few seconds. We run a dedicated book club for our members and pick a new book each month to read and discuss. 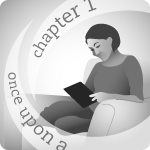 This is a brilliant way to discover new authors and genres. The club is completely free to join, so come along and take part. Each day, Amazon.co.uk have a huge discount on one of their Kindle books. We have an RSS feed which you can subscribe to so that you never miss out. When you set up your profile, you can easily link your published Kindle books to your profile, this means that our members can see your work every time they look at your profile. 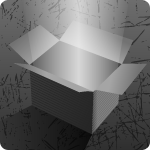 Authors are welcome to post promotional material in the dedicated PR forum. If you have released a new book and want people to know about it, this is a great place to start. Please note that we do have a policy of just one thread per book. If you want to connect with your fanbase of readers, all authors are welcome to start their own discussion thread in the Chat with the Authors forum. It's a great way to connect with your audience and gain new readers. Connect with other Kindle authors and publishers to discuss all aspects of your craft, including writing, publishing, marketing, designing covers and everything in between. Hang out with other authors and discuss anything you like about life as an author. We regularly run competitions here at the Kindle Users Forum, so if you want to try your luck at winning Kindle accessories, books, Amazon vouchers and more, please check the latest competition threads. Some of our members have initiated some easy to play word games in the forum threads. If you'd like to join in with the banter, come along and take a look. If you want to take a break from talking about the Kindle or books, then you can find a place to post just about anything you want to get off your chest in the lounge off topic forums. 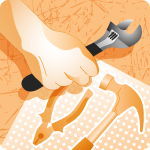 Tools and support - Make the most of your forum. 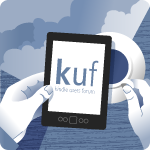 KUF is completely free for you to use, but we do need support for our running costs. Here are some great ways that you can support the forum. We participate in Amazon's associates programme, so any time you buy from Amazon immediately after clicking one of the links below we will receive a small percentage of the sale. If you love KUF and would like to place a link on your own website or blog, we have a selection of ready made badges to help you. Alternatively you can link to the forum in any way you like. Our shopping directory contains hunderds of UK retailers many with exclusive Voucher codes. All sales made through the links will contribute a percentage toward KUF running costs. We have a selection of KUF branded merchandise which is available to buy online in the UK and US. Items include T-Shirts, Mugs and Mousemats. As well as the forum and all the other features at KUF, we also have some special Kindle ready website services which you can use completely free of charge. Want to see what's coming up on UK TV? Our Kindle ready TV guide lets you see listings from all major TV and Satellite channels direct from your Kindle browser. You do need to have a forum account to use the Guide. With our easy to use RSS reader for Kindle you can keep up to date with the latest posts and news from your favourite websites and blogs. This tiny application lets you find answers to crossword puzzles by searching a huge database of English language words to find words that fit your blanks.